I'm reblogging this because Brenda Norrell's links to stories at Censored News are being blocked by Twitter, and I'm unable to share directly from her site. 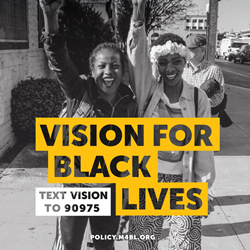 Black Youth Project 100, Black Lives Matter and Million Hoodies launch protest actions to demand accountability for police officers who commit violent acts against citizens. For at least a decade before the Gold King disaster, the mine drainage reaching Animas canyon waters along a 30-mile stretch south of Silverton "had a hideous impact," Trout Unlimited chapter president Buck Skillen said. "We've lost almost all of the trout and a number of bugs," Skillen said. "We've had the equivalent of the Gold King spill every four to seven days over the last 10 years. But the water didn't turn orange. So it wasn't on everyone's radar." Kyles was instrumental in bringing King to Memphis for a workers' strike. On the night King was murdered, Kyles was hosting the Kings for dinner. Kyles, who was on the balcony with the famous leader, was telling King to hurry up so they could leave the motel, when King was shot and killed, USA Today reported. When the president and his key officials look at the drone program, they undoubtedly don’t “see” women and children. Instead, they are caught up in a Hollywood-style vision of imminent danger from terrorists and of the kind of salvation that a missile launched from thousands of miles away provides. It is undoubtedly thanks to just this thought process, already deeply embedded in the American way of war, that not a single candidate for president in 2016 has rejected the drone program. From the article: Attorney general Lisa Madigan’s complaint, filed 12 November, names three nearby hiring agencies and two Illinois restaurants and refers to a larger network of eateries. One of the agencies closed its doors in October after the city issued building code violations; the other two agencies and the restaurants continue operating. In responses filed in federal court, the defendants have all denied the allegations or said such violations are not their responsibility. Talking with the Guardian, the agency owners and their lawyers denied wrongdoing or a connection with the homeless men. From the article: In fairness, Mr Xi was bound to meet with hostility. Many officials are angry because he has ripped up the compact by which they have operated and which said that they could line their pockets, so long as corruption was not flagrant and they did their job well. But Mr Xi has also found that the pursuit of power is all-consuming: it does not leave room for much else. In three and a half years in charge, he has accumulated titles at an astonishing pace. He is not only party leader, head of state and commander-in-chief, but is also running reform, the security services and the economy. In effect, the party’s hallowed notion of “collective” leadership (see article) has been jettisoned. Mr Xi is, one analyst says, “Chairman of Everything”. Roy Cooper, the N.C. Attorney General, said on Tuesday that his office will not defend North Carolina officials and state agencies against the law adopted last week that strikes down locally enacted protections for lesbians, gay, bisexual and transgender people. Three individuals and two LGBT advocacy groups early Monday morning filed a lawsuit in federal court challenging the recently passed North Carolina law that nullified local LGBT rights ordinances and restricted transgender people’s access to restrooms. “By singling out LGBT people for disfavored treatment and explicitly writing discrimination against transgender people into state law, H.B. 2 violates the most basic guarantees of equal treatment and the U.S. Constitution,” the lawsuit argues. The complaint argues the law violates people’s equal protection, privacy, and liberty rights under the Fourteenth Amendment to the U.S. Constitution and their civil rights under Title IX of the Education Act of 1972. Protestors, lead by Black Lives Matter Minneapolis, have repeatedly asked Hennepin County prosecutor Mike Freeman to forgo the grand jury in the decision to indict the officers who killed Clark on November 15, 2015. Yesterday, Freeman announced that not only will he not use the grand jury process—which is criticized for a lack of transparency and abysmal track record when it comes to indicting officers—for Clark’s case, but that he will no longer use grand juries for any cases where officers kill civilians. Ending an abusive relationship does not necessarily end the violence and terror, particularly when children are involved. Abusive partners often use custody proceedings to continue their harm through the children, a phenomenon that Dr. Evan Stark, a professor at Rutgers University and expert on domestic violence, calls "tangential spouse abuse." The American Psychological Association found that batterers are more likely to challenge custody than ex-partners who are not abusive. At the same time, family courts lean toward joint custody, a preference that abusers use to continue harassing and exerting control over their ex-partners. "The water that came down would kill the fish", Miguel Ángel Paredes Jiménez assured. He was the security chief at the Arroyo Barril port in the year 2004. Is Donald Trump the Charismatic Leader the KKK & Neo-Nazis Have Been Waiting For? | Democracy Now! After initially refusing to condemn an endorsement from former KKK leader David Duke, Donald Trump has faced a series of questions about why his campaign has been so embraced by Neo-Nazis and Klansmen. We speak to Brian Levin, director of the Center for the Study of Hate and Extremism at California State University in San Bernardino. Levin talks about encountering Trump supporters at a recent rally held by a chapter of the Klan in Anaheim known as the Loyal White Knights, or LWK.